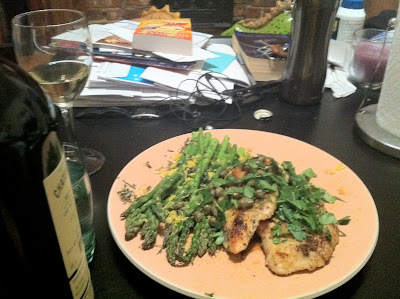 The main course and side both come from the wonderful Cooking Light magazine. The whole dish was so yummy and filling. 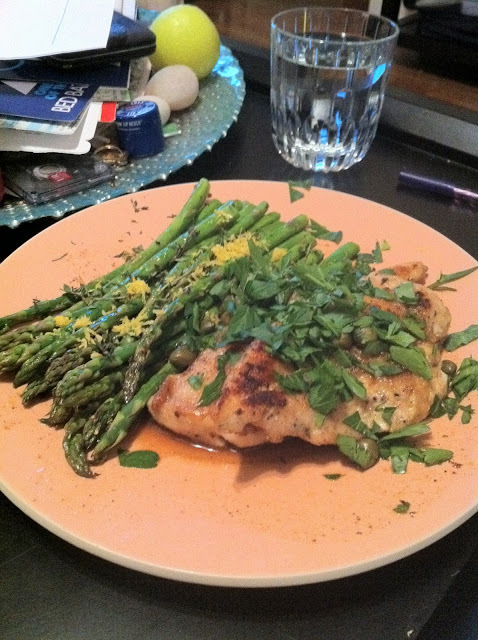 You can find the meyer lemon chicken recipe here, while the asparagus side in brown butter is here. I have no special tricks for either recipe. Just follow as directed. Not entirely a quick dish, but neither is it difficult. The tastiness is quite a reward. Your soundtrack for this entry: Ladyhawke - Magic.